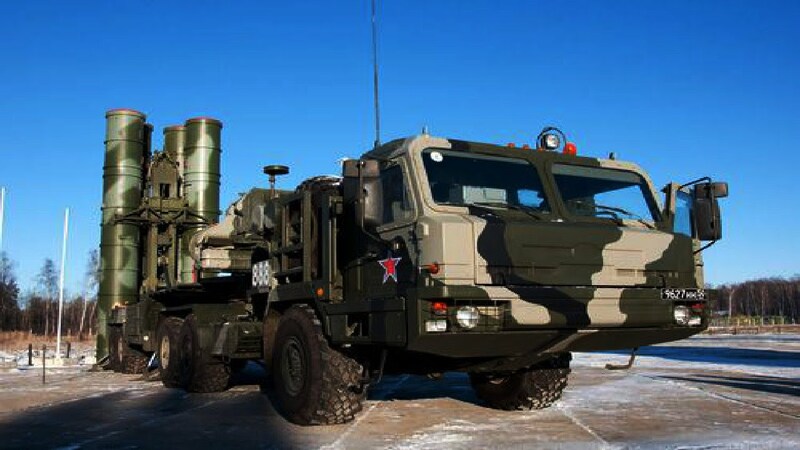 Robert Harneis –TDO- (FRANCE)- Russia is to supply an S-300 air defense system to Syria within the next two weeks. The Syrians had previously purchased the system but by agreement with Israel Russia suspended delivery. According to the Russian Ministry of Defense, “In 2013 on a request from the Israeli side we suspended the delivery to Syria of the S-300 system, which was ready to be sent with its Syrian crews trained to use it,” the statement said. Moscow has accused Israel of failing to inform Russia about its impending attack on targets in Syria, which resulted in the loss of a Russian Il-20 electronic surveillance aircraft and crew of 15 by Syria’s return fire. Russian President Vladimir Putin ordered the defense ministry to take several measures in response to the incident, the ministry said in a statement on Monday. The system will boost Syria’s capabilities to deny Israel access to its airspace. The Russian military will also supply better control systems to Syrian Air Defense Troops, “which are only supplied to the Russian Armed Forces,” defense chief Sergei Shoigu elaborated. This will allow integration of Syrian and Russian military assets, allowing the Syrians to have better targeting information. “The most important thing is that it will ensure identification of Russian aircraft by the Syrian air defense forces.” Potentially it will also expose Israeli aircraft tracked by Russian radar stations to Syrian fire. Russia laid the blame for the loss of their aircraft on Israel, saying that the Israeli military failed to inform their Russian counterpart in time for the Il-20 to be moved to a safe area. They also said the Israelis may have deliberately used the Russian plane as a cover, expecting that the Syrians would not dare to fire at their F-16 fighter jets with the Russian plane nearby. The Israelis denied the allegations and said they took all proper precautions and didn’t use the Il-20 as a cover. The explanations, despite a high level emergency mission to Moscow, evidently, failed to convince the Russian government. The boosting of the Syrian air defenses will not only make life more difficult for Israeli attackers but also NATO. The incident in which Russia lost the Il-20 also seems to have involved the French frigate Auvergne which was in the area at the time and accused by the Russians of firing missiles into Syria. The French ambassador to the UN Security Council hotly denied any involvement in the loss of the Russian aircraft but did not deny firing rockets at Syrian targets. Whilst the justification for boosting Syrian air defenses given by Russia is the activities of the Israeli air force, it fits in with Moscow’s overall aim of rendering Syria invulnerable to NATO and US attacks. The measures announced are a considerable step in that direction and are also an answer to the very aggressive recent statements coming out of Washington where spokesmen have been saying that it is no longer a question of attacking Syria if the Syrians are accused of using poison gas but merely if the Syrian government takes any steps to retake its territory around the City of Idlib.